Ex-Tel Communications is an established organization providing communication services to the Northwest Ohio and Southeast Michigan area. It is a privately held company, which was formed in 1987 and incorporated in 1991 by Kurt Rinas. Kurt provided Long Distance services (as TTE, Inc.). Kurt then answered the call of his customers for quality telephone services involving customer premise equipment (CPE). Since that time, Kurt has retired and the company is currently owned and operated by Mike O'Rourke and Al Bonczek. Al and Mike both have a strong technical background in the telephone industry with combined experience exceeding fifty years. Ex-Tel currently looks to provide among the highest value to its customers. By this, we mean the best solution, not just the cheapest price. Quality installations, installed with pride, not just a "looks OK" job. Our technicians provide thorough, complete jobs, including customer orientation and acceptance. Fast, timely work schedules and 24/7 service. We work hard at instilling customer confidence by working safely with proper tools and equipment and keep clean, organized work sites. We maintain adequate insurance to protect our customers and ourselves. Al Bonczek leads the telecom division. Al has been involved in the industry since 1983. His extensive background and experience include: installer, service technician, communications consultant, sales management and president of a respectable interconnect in Northwest Ohio. Factory training includes Panasonic, Comdial, Mactrotel and others. Ex-Tel sought Al as a leader in this field. Al is now responsible for procuring sales and service accounts, quality control, and scheduling involving primarily telephone and voicemail systems. There are currently four technicians under Al's supervision. 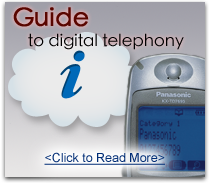 Their combined experience makes it possible for the company to take on most any telecom-related task. Additional factory certificates acquired by technicians include: Panasonic, Comdial, Mitel, Nortel, Toshiba, Vodavi, Valcom and others. Our diversity allows us to provide product and service on most major brands of telephone systems, voice mail and related equipment. 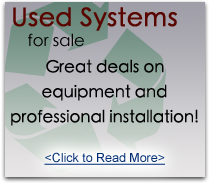 Including, but not limited to, IP PBX, key and hybrid telephone systems, plus paging systems, fax/modem switches, intercoms, door access and door access strikes, along with most video applications. Ex-Tel began to actively pursue cabling work in 1992 when it was invited to bid on a cabling contract for the University of Toledo. We were awarded that contract and many others for the University. At that time, the cutting edge media was a category 4 cable. RG58 "thin-net" was also considered a top performer. Since then, under the direction of Mike O'Rourke, Ex-Tel has continued to design and install structured cabling. Mike also has an extensive background in telecommunications, starting as a cable puller back in the early 1980s. Mike was quick to set himself apart as a leader. His current responsibilities include site surveys, design, bidding and project management. Mike also involves himself in the day-to-day operations of the company. He is a BICSI certified technician and has achieved his RCDD (Registered Communications Distribution Designer) certificate. We currently design and build telecommunications rooms, as well as install voice, data, and video cabling. This includes, but is not limited to Cat 3, Cat 5e, Cat 6, fiber optic and coaxial cabling. Ex-Tel also provides independent testing, trouble-shooting and repair of these cables. Installations are primarily done in commercial facilities, however we also get involved in industrial, institutional and residential facilities. Ex-Tel's market is comprised of a diverse range of commercial businesses. Our clients have included: The Toledo Zoo, the University of Toledo, Owens Technical College, The Diocese of Toledo, Merillat Cabinets, Calphalon and other significant organizations. That majority of our customer base is comprised of the typical small businesses with installation involving ten to twenty LAN cables and/or phones. We are the local first choice vendor for several Communications Contractors supporting national accounts. Our marketing is currently limited to "word of mouth" and Yellow Page advertising. 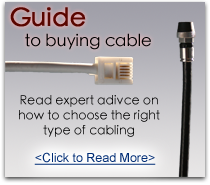 We continue to peruse the local computer stores to be the first choice cable vendor. The New Home residential market is currently under consideration as a potential growth direction for you business. At Ex-Tel, we are very optimistic about our future. It is our belief that satisfied customers will continue to recommend our company services to others. By continuing to employ qualified and motivated individuals to be a part of our team, we can devote additional time to promoting our company. Currently we hold only a small percentage of the Toledo area market for telephone system service. As for cabling, we are certainly a recognized name, however there is still significant growth potential.